Various QRP transceiver CQXIEGU from China. The transceivers are classified as "almost finished" supplied kit and have yet to be built together. It is only to mechanical work, there are no soldering required. 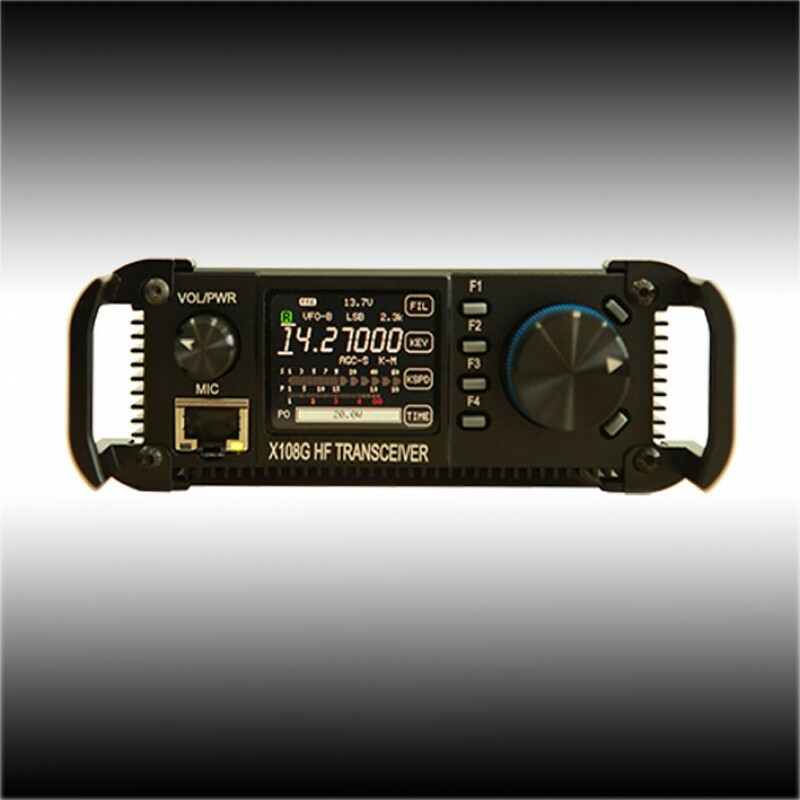 The 'X-108G Outdoor' is the improved version of the previously offered X-108 transceiver. The X-108G Outdoor is a single-conversion transceiver for all amateur radio bands from 160 - 10m including WARC bands. 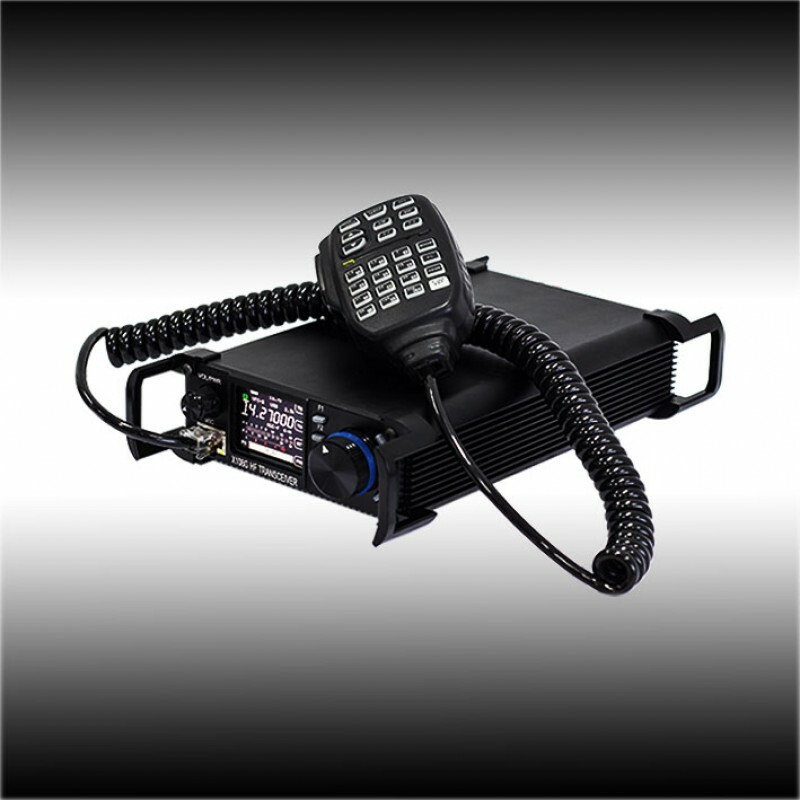 The device provides an output power of 1 - 20W on all amateur radio bands. The 'X-108G Outdoor' transceiver from CQXIEGU has two separate IF filters. For SSB a 2.4 kHz filter is provided, the ambitious CW operator will appreciate the narrow 500Hz filter. Likewise, a keyer with adjustable speed is integrated. The OLED Color-Display of the X-108G Outdoor shows the usual values like frequency and mode, but also an S-Meter and a Power-Meter. The current SWR and other parameters are also displayed. An area óf improvement for the new X-108G Outdoor is the receiver. The noise level was significantly reduced. The selected components for the receiver are of high-quality, so that this single superhet with the double diode mixer in addition to the excellent dynamic range also offers a low noise receiver. The receiver sensitivity is 0.2µV and double loop band-pass filters ensure a perfect reception on all bands. This is supported by a built-in AGC, a pre-amplifier and an attenuator. Optionally, a Noise Blanker is available. The Transmitter provides an output power of max. 20W in the modulation modes AM, USB, LSB and CW. A built-in protection circuit protects the transmitter from a too high SWR. The spurious rejection is ≥ 40dBc. The frequency stability is 0.5ppm, a TCXO is included. An audio compressor is provided. The microphone is an electret-type and is compatible with the Icom HM-133. 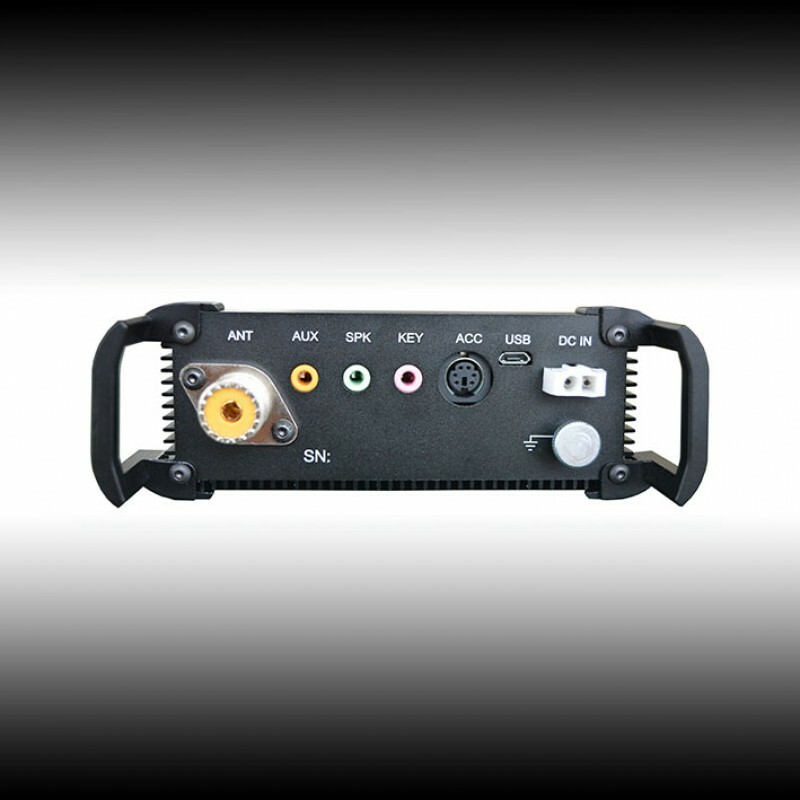 The 'X-108G Outdoor' has a rear-panel USB port (Micro-B) so you can control the small transceiver with a computer. The CAT protocol is compatible to the Icom IC-7000. Firmware updates can also uploaded. In addition, there are on the back of the connectors for external accessories and the 12V power supply also. A new addition is an Mini-DIN ACC socket fpor accessories. The brackets for protection of the transceievr are also included. The transceiver is supplied as an almost-finished kit. There is no soldering required, just some easy mechanical work. The kit has no CE mark after completion. The finished device may therefore be operated only by licensed radio amateurs. The transmitter is continous up to 30MHz 'in principle', but there are harmonic filters only for the bands 80/40/20/15/10m. For operation outside of these bands a separate (external) low-pass filter is required. The supply voltage ranges from 9.6V to 14.5V. While receive, the small radio needs only 350mA, in the case of transmission the power consumption goes up to max. 1200mA. An automatic CW keyer is built in to the X1M. 2x32 memory channels and a backlight simplify the operation not only in portable use. In addition, the controls can be locked against accidental operation. A built-in CAT interface makes the X1M also suitable for automatic logging and control. The serial interface (9pin Sub-D) on the rear supplies TTL level(!) signals. An optional interface provides a level converter to RS-232 levels. The interface emulates an Icom radio (IC-718) and can therefore be used with almost any logbook program. The receiver sensitivity is better than 0.45 µV. The transceiver is supplied as an almost-finished kit. All components are fully populated on the boards. You will have to install a printed circuit board, as well as front panel and the operating buttons. The assembly will take approximately 10 minutes. Notice: The interface X1M.CAT-U is not supported by Windows 8. Here you get the firmware update and the instructions in English for the X1M. The program is in Chinese, please read careful the instruction! The CAT-Interface is needed for the update! Normally, Windows will detect the driver for the USB-CAT interface automatically through Windows Update and install them. If this does not work/fails you can use the driver provided here.